UPDATE: On behalf of the Internationally Renowned Pi Pi Chapter of Alpha Phi Alpha Fraternity, Inc., we would like to congratulate Bro. Joseph Mason for securing the most votes to become an executive board member of Student Forum, as the V.P. of Multicultural Affairs! My name is Joseph Mason and I am currently a junior. I am from Chicago Illinois, majoring in sociology with a minor in political science. I am involved in a number of clubs and activities on campus. I am the social chair of Black Student Union, in which I help recruit new members and create fliers for upcoming events. I am the captain of the men’s basketball team, a member of Black Law Student Association, and a member of Alpha Phi Alpha Fraternity Incorporated. The reason why I am running for VP of multicultural affairs is that I believe that multicultural groups on campus need to be strengthened. I feel that there is not enough unity among these groups, and as VP of multicultural affairs I want to bring these different clubs together. There should not be competition between these different clubs, but unity and an attempt to achieve a common goal. I feel that this position needs someone that has leadership capabilities. What I plan to do if elected is strengthen the Leadership In Diversity committee (LID) and push for more multicultural unity. LID is something that could really allow students from different backgrounds to become more involved in multicultural activities and is a chance for them to voice their opinions on what needs to be done around campus. I also want to try and plan one big event with all multicultural clubs in which we can all experience the different clubs on campus. 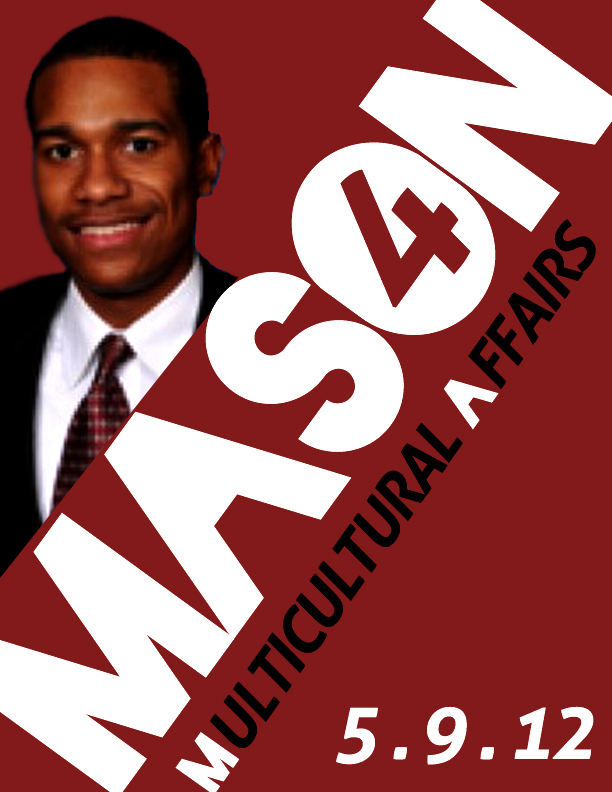 Vote Mason for VP of Multicultural Affairs! Join my Facebook page here for updates: https://www.facebook.com/events/304908479586050/.